George III ormolu musical automaton cast in the form of a pagoda surmounted by five ostriches and hung with prisms and flowering urns. 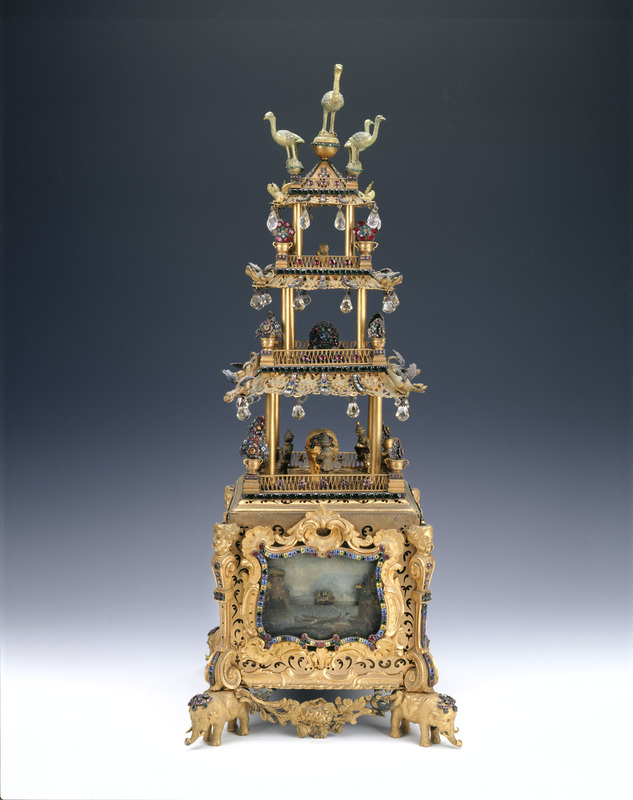 The pierced rectangular plinth is cast with painted automaton scenes of ships in a harbor with chinoiserie cast angles all sitting on four feet in the form of elephants. Decorated throughout with high quality glass brilliants.